Chelsea is currently in her second year of her PhD at the School of Physical Education, Sport and Exercise Sciences at the University of Otago. 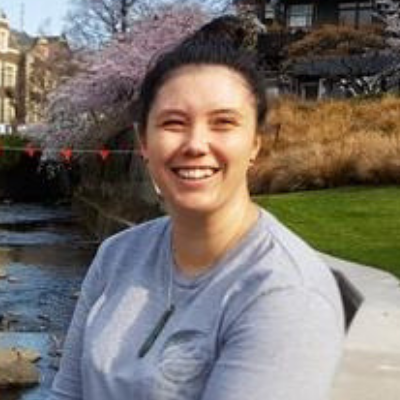 She is exploring ways to reconnect whānau to whakapapa in Ngāti Kahungunu. The first, through physical engagement; walking, paddling, swimming and biking with our maunga, awa, pā sites and marae. The second through technology; virtual reality and short films using 360-degree cameras, GoPros and drones. whakapapa for future generations to have and learn from. The virtual reality created from these engagements will be available to whānau who are unable to physically visit these places, essentially bringing the maunga or awa to them through the eyes and experience of their own loved ones, with the ultimate aim to enhance identity and well-being. Chelsea’s workshop will undertake a demonstration of the methods of her research. Participants will get an opportunity to learn a local pūrākau and physically engage in te taiao o Ngātiwai, whilst also using and developing skills around the use of technology (GoPros, drone and 360 degree cameras) to create virtual reality.